Additive for Polyester Resins and Gelcoats used to allow an easier sanding finish. All of our polyester resins and gelcoats come un-waxed. 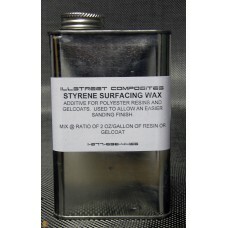 Used normally at a ratio of 2oz per gallon of resin/gelcoat.